This month I’m discussing a topic that creates a lot of controversy between our profession and other health industries. That is the perceived dangers of manipulation (adjustment) to the neck and the corresponding dangers to our neck arteries and blood supply to our brain. Before I adjust a new patient’s neck I explain to them what they should expect to feel. For years now I have said “During the neck adjustment I am going to perform a short quick turn of your neck to the side, the rotation is less than what you can do yourself”. I then show the patient what I mean, by getting them to turn their head as far as they can to the side, we commonly perform this kind of rotation every day, especially when looking over our shoulder. This usually gives the patient a comparison of how far we can naturally turn our head to the side as opposed to during an adjustment. Recently I discovered a journal article from the University of Calgary written by a Professor of Biomechanics. This study measured the amount of strain placed on the neck arteries during normal motion versus the strain on the same arteries during a neck adjustment performed by a Chiropractor. This study found the average strains of the neck arteries were significantly smaller during the adjustment than the strains obtained through normal daily neck movements. This study concluded that Chiropractic adjustments to the Cervical spine do not place undue strain on the neck arteries and is therefore not a predisposing factor in neck artery injuries. Herzog, W. et al. 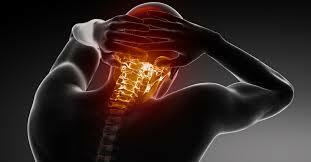 Vertebral artery strains during high speed, low amplitude cervical spinal manipulation. J Electromyog Kinesiol. 2012 Oct. 22 (5) 740-6.